Nalah pulled fabric away from his machine to show his customer the finished product. He had just finished telling his client, one of his neighbours, the story of Jesus—the God who saved his life. When the customer left, Nalah started up his machine once more to fill another order. As the sewing needle bobbed up and down and the hum of the machine filled the air, Nalah was grateful for his new life in Christ. But sewing wasn’t just something Nalah enjoyed. It wasn’t a hobby or a chance to express his creativity. For Nalah, sewing meant getting his family out of poverty—a treacherous cycle they had been in for many generations. Nalah grew up watching his father labour in the tea fields, trying to maintain his family’s livelihood. He knew well the desperate poverty all the tea workers endured. Soon, their daily struggle became his own as he had to forsake his education to work alongside his father. 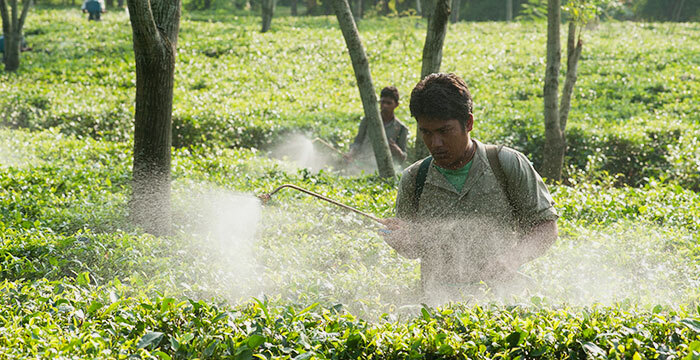 Life carried on as it did for every boy in the tea gardens. Inadequate living conditions, lack of clean water and proper sanitation, and malnourishment was the norm for Nalah and all the other tea worker families. 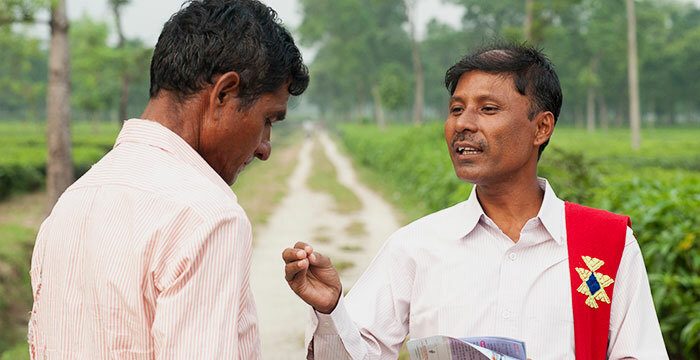 Much like these men working in a tea garden in Asia, Nalah and his family lived and worked long hours trying to scrape up enough money to live on. Often the wages simply weren’t enough for his family. Despite his challenging childhood, Nalah grew up and started a family of his own. He became the father of three daughters and one son, all of whom needed to eat each day and get an education. The problem was Nalah couldn’t provide for them as he longed to. He sank into a depression and turned to temporary liquid pleasure to find relief. While Nalah drank, he gambled his hard-earned money with his friends, trying to crowd out his sorrows like so many of the other men in the tea gardens have done for years. Nalah’s life was spent in misery, while his wife and children suffered all the more from the distance alcohol and gambling brought to their family. Like this man pictured, Nalah had a family to look after but struggled to provide for them on his meagre income. But just as life was spiraling downward, Nalah met a servant of God who listened to his sad story. After Nalah had shared about his sorrows, he heard something that would change him forever: The Christian man shared with Nalah the testimony of Jesus’ life and ministry. Afterward, Nalah considered the sacrifice and love Christ offered to him and the whole world. At that moment, Nalah gave his heart to Jesus, placing his insecure life securely in the hand of Christ. Nalah, with his new faith in Christ, needed direction. He didn’t know where any local churches could be found, and he never saw the Christian man again. This is when God brought GFA-supported pastor Gunesh to help walk with Nalah as he followed Jesus. 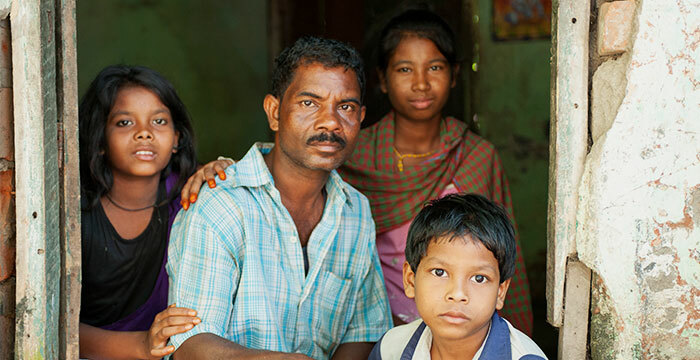 Nalah and his family began to get established in Pastor Gunesh’s church and worshiped Jesus alongside other believers. Like GFA-supported pastor Ekanpreet (pictured), the Christian man who listened to Nalah’s life story and shared the story of Jesus’ life was like a breath of fresh air to Nalah’s depressed heart and soul. Soon after, God brought Pastor Gunesh into Nalah’s life to help him learn what it means to follow Jesus. It didn’t take long for Pastor Gunesh to notice Nalah’s impoverished condition. He saw how the people in the tea gardens suffered and knew it would be impossible for Nalah to be freed from poverty merely by his meagre income as a daily labourer in the garden. Pastor Gunesh sprang into action and talked with his leaders, requesting that Nalah receive a sewing machine. Thanks to the Lord’s faithfulness and supporters across the globe, Nalah was given a brand new sewing machine during a Christmas gift distribution held at his church. These men received brand new sewing machines, much like the one Nalah received! Equipped with the new machine, Nalah was able to sew his way out of poverty by making clothing for customers on the side while still doing his daily labour in the tea fields. Because of his extra income from sewing, Nalah could care for all his family’s needs, and what’s more, he was also able to minister to those who came to him for business. With a new life and beautiful future, Nalah and his family drew near to God and saw Him transforming them. Because of his extra income from sewing, Nalah could care for all his family’s needs, and what’s more, he was also able to minister to those who came to him for business. 9,702 sewing machines were given to needy families in Asia in 2016, enabling many to earn a steady income and overcome their families' poverty. 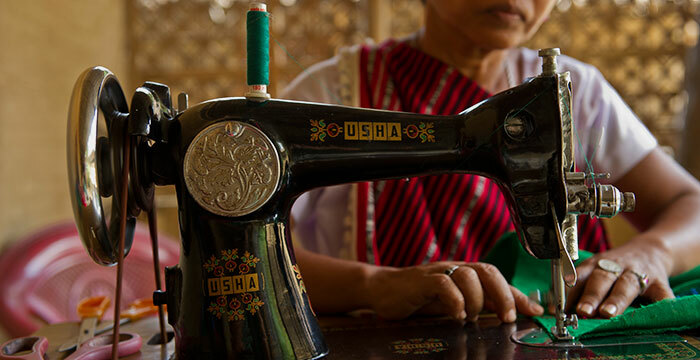 Sewing machines are effective tools that not only offer a way out of poverty but are also symbols of hope—hope for the future and dignity for the lives of many. GFA helps give men and women the opportunity to learn a trade through tailoring classes and by gifting thousands with machines of their own. In 2016 alone, 9,702 sewing machines were given to needy recipients. 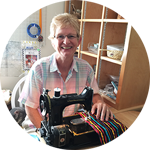 Nalah’s story is just one of many who have experienced life change through a sewing machine. Will you join us in being part of more stories like Nalah’s? Give a sewing machine today and offer hope for the future! $85 provides one sewing machine for a family or individual in need.